WordPress is one of the most popular blogging tool as well as content management system based on PHP and MySQL. It has a huge library of plugins that can help businesses with their individual needs of SEO, interface design, templates and content management. It can be easily integrated with social networks like Facebook/Twitter/Pinterest.Google + as well as payment gateways like PayPal/Moneris. 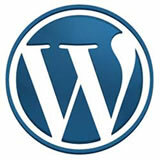 WordPress is one of the most popular open source content management systems. It is based on PHP and MySQL. It has got many attractive features which make it more effective and useful for developers as well as website owners. WordPress development is flexible and can be customized as per client's specific requirements. Our expert WordPress developers develop unique plug-ins that makes WordPress applications a medium of your business's success and growth. WordPress is an ideal publishing and content management system for online blogs and forums. We offer WordPress designing, development, customization, editing and various other services. 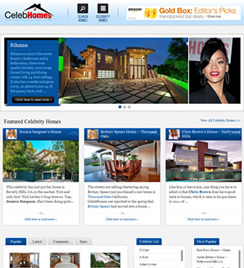 Celebhomes provides a list of famous Hollywood celebrities' houses and mansions. 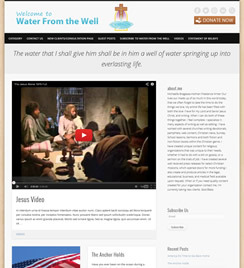 A personal Wordpress website for a consultant who writes on journalism, theology, law and creative practices using his knowledge of bibliography guidelines and practices. Online music store that sells gymnastics floor music for gymnasts of all ages and levels all over the world. 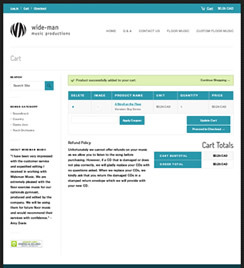 It is built on Wordpress platform customized with shopping cart plugin.